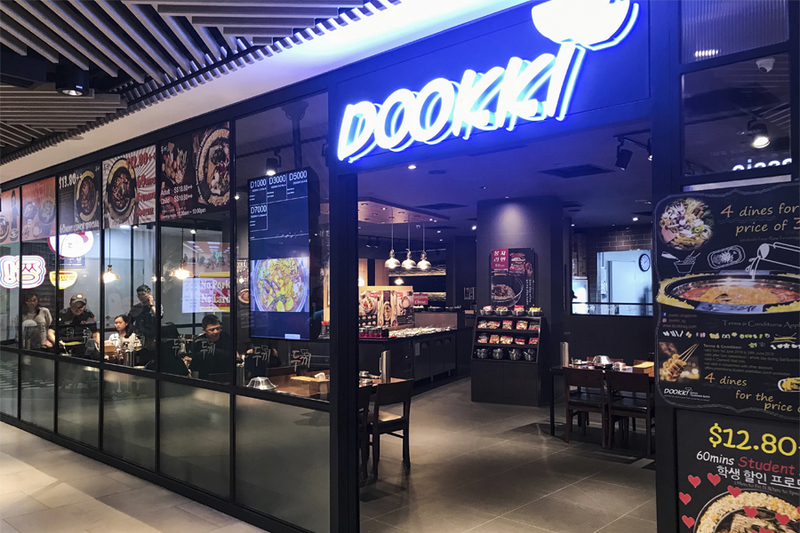 Singapore’s popular All-You-Can-Eat Korean Tteokbokki Restaurant Dookki has opened a NEW outlet at Clementi Mall. 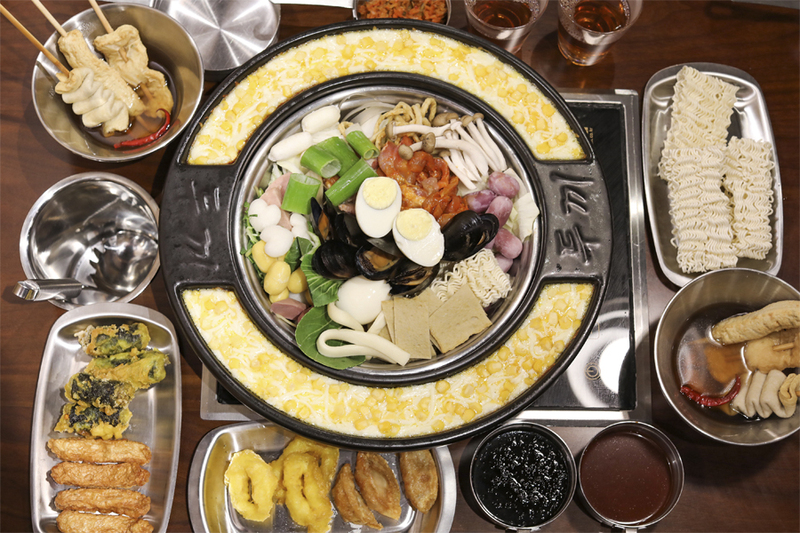 The Korean buffet restaurant which has been attracting long queues at Suntec City, is known for its fun and sumptuous dining concept, which incorporates both Tteokkbokki Hotpot and Kimchi Fried Rice. Prices remain unbeatably affordable, at $18.80++ for adults and $10.80++ for children. 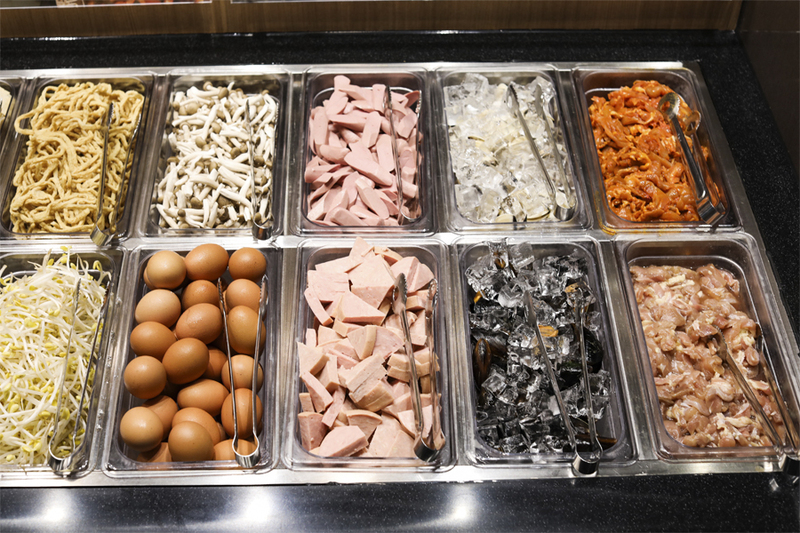 If you are a first-timer at this restaurant, you may get slightly confused at how the whole process works. 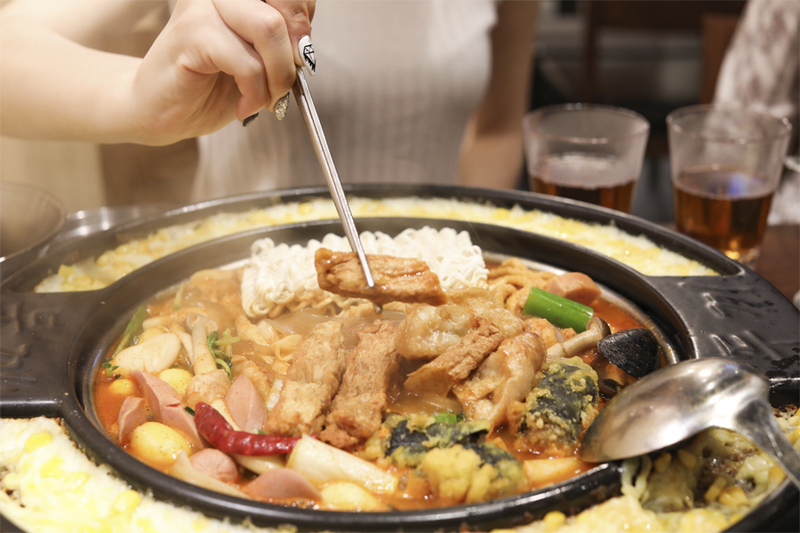 Do not worry as their friendly staff will take you through the process from mixing the sauce for their Tteokbokki pot, to transiting into the 2nd meal of Kimchi Fried Rice. 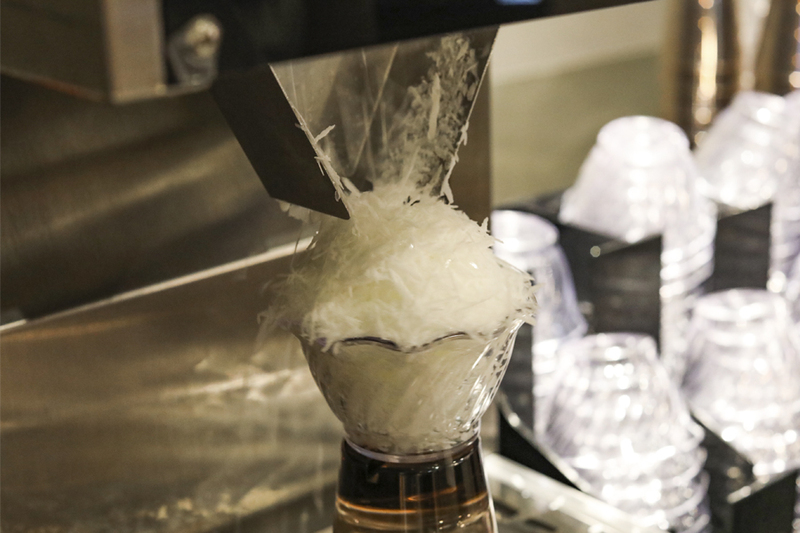 First opened in Korea in December 2014, Dookki has more than 100 stores worldwide. 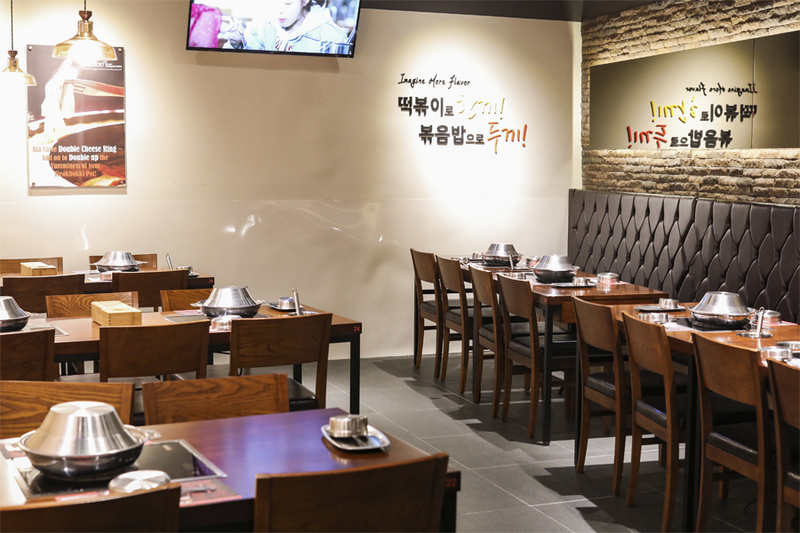 Its first outlet at Suntec City Mall East Wing B1-107 is considered Singapore’s very first Tteokbokki-specialty buffet restaurant – you would have seen the queues during peak hours; while its 2nd branch has just opened at Clementi Mall B1-30/31. 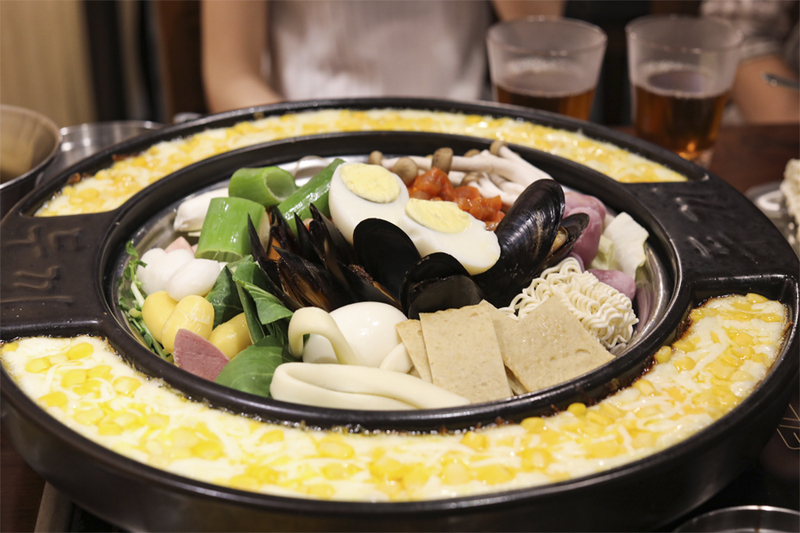 The first meal of “Tteokbokki” begins with the Korean rice cakes along with other ingredients, to your desired level of spiciness. 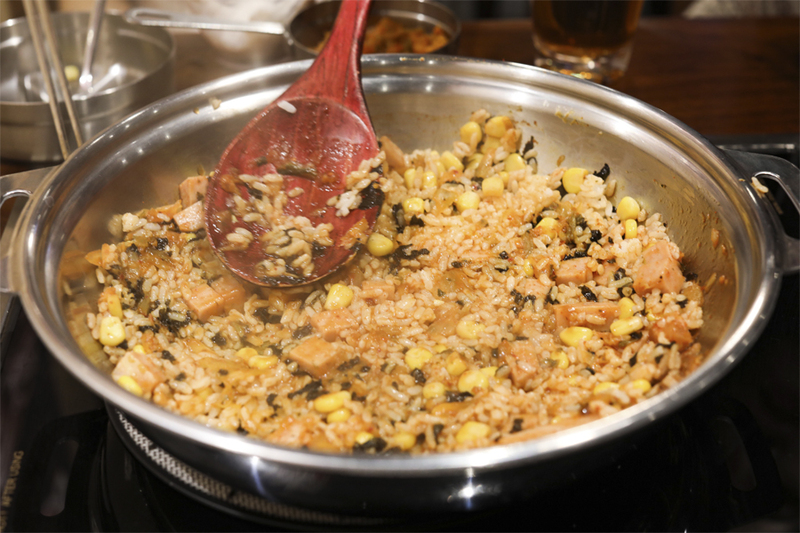 The second meal is the cooking of Kimchi Fried Rice, in which you add other ingredients such as Kimchi, Seaweed, Sweet Corn, Steamed Rice and other items (which change from time to time) to the remaining sauces. 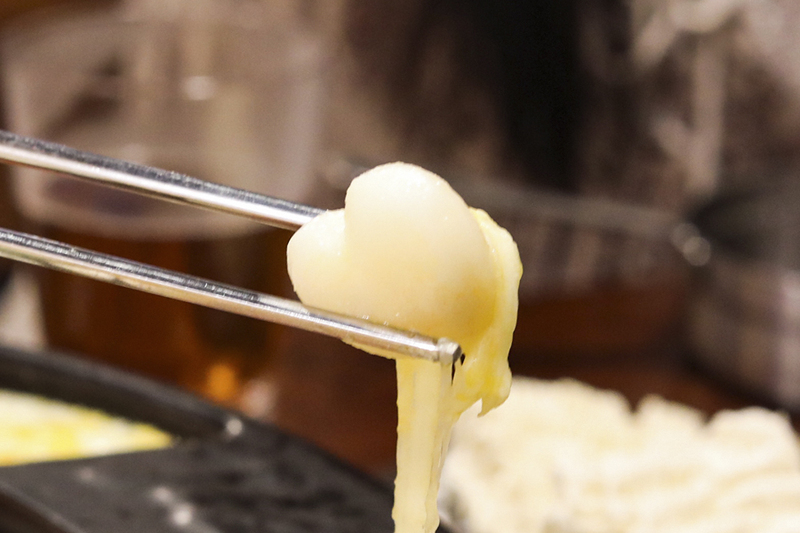 Tteokbokki means “stir-fried rice cake”, is a quintessential Korean dish which comes in many variations and has a rich history. Dookki offers eight types of Tteok (rice cake) consisting of rice cake with sweet potato, cheese and pumpkin fillings, long shaped flour cake, potato sujebi (hand-pulled dough) , special shaped (such as heart and flower) , hollow and slim rice cake. All the rice cakes used are air-flown from Korea. 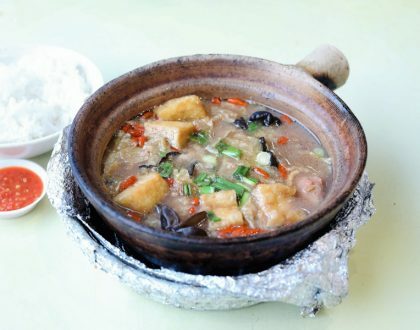 I say go for the purple-coloured Sweet Potato which had a sweet centre, surrounded by soft and chewy rice cake. The cheese-filled ones are a favourite with children. 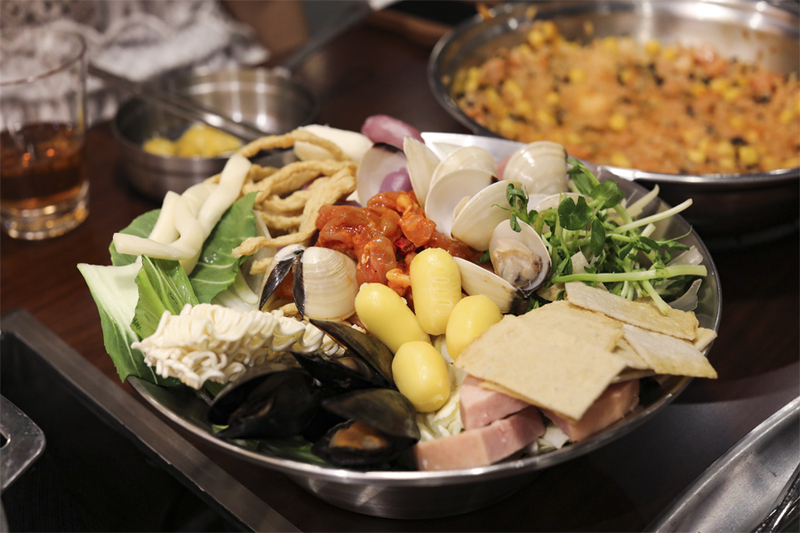 Other than Tteok (rice cakes) that you can eat to your heart’s content, other ingredients you can add include fresh chicken (spicy and non-spicy), seafood, assorted vegetables, mushrooms, sausages, spam (yes!) boiled eggs. A variety of fried food including Gimmari (Korean Seaweed Roll), fried chicken, fried fish cake, fried dumplings etc. is also available to be eaten as a side dish, or by cutting them into bite size pieces (the Korean way) savouring them with the Tteobbokki pot. The one thing you should go for would be the skewered Eomuk, which you would find hugely popular at the street food carts in Korea, especially in Myeongdong. 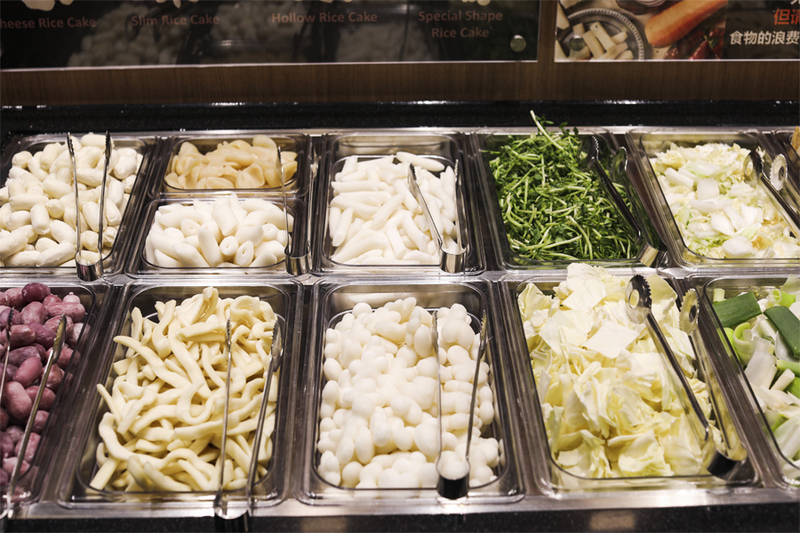 Other than different types of Korean ramen which is the crowd-favourite, you can also expect other varieties of noodles such as Sweet Potato Noodle and Glass noodle. This is the fun part where you get to create your own sauce. 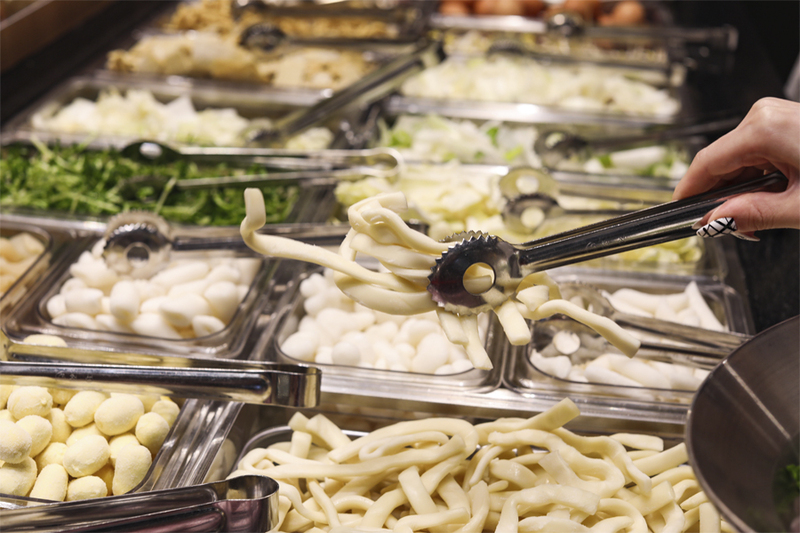 Over at the Sauce Counter, find the “Mix and Match Sauce Chart” that will guide you to create your Ttekbokki Pot Sauce according to your preference. 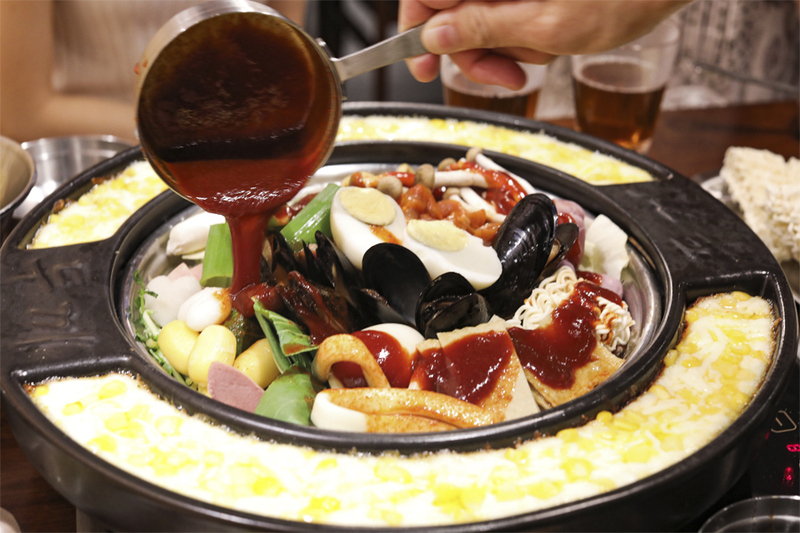 Whether you like it super spicy, mildly spicy or even if you have a non-spicy taste bud, you can be sure to find your preferred taste by concocting your own sauce from Dookki sauce, Tteokbokki sauce, Gungjung sauce, Flame sauce, Jajang sauce and Cream sauce. 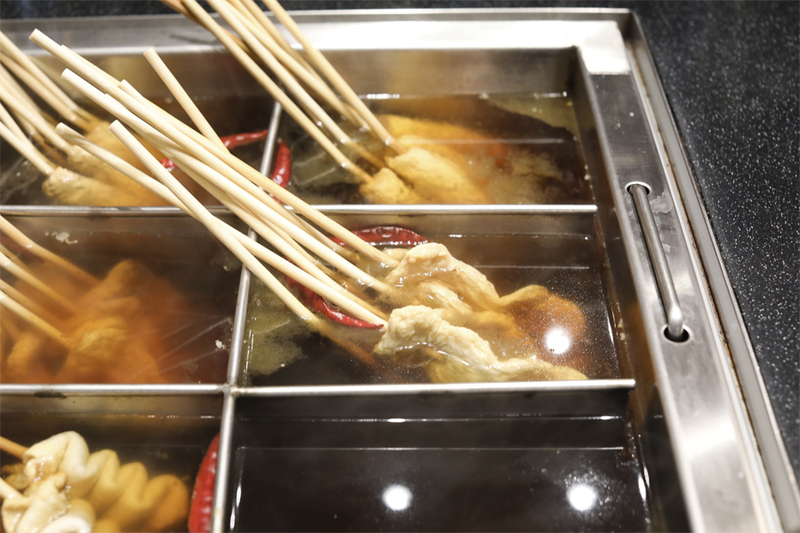 You add the sauces as you like in the large bubbling pan, to be mixed with the ingredients. The fun is, you can try until you reach the combination that you enjoy best. 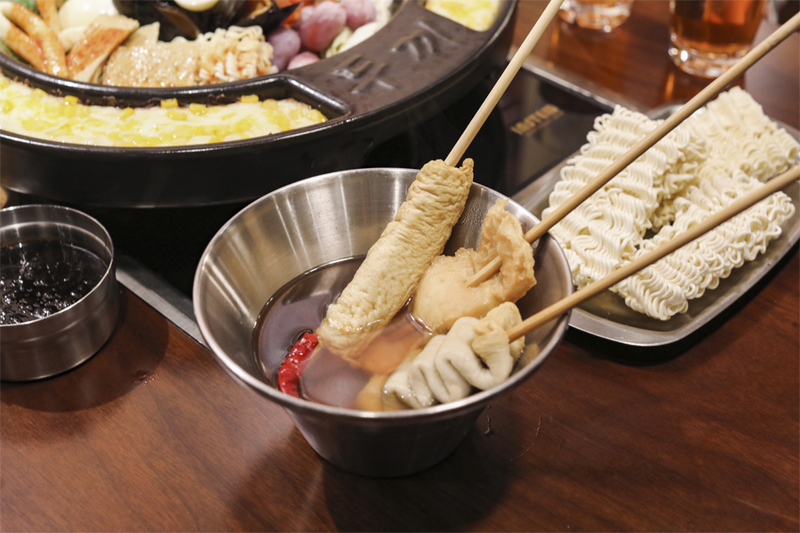 For first timers, the recommended would be equal proportion of Dookki Sauce, Tteokbokki Sauce, and Gungjung Sauce which would result in a mildly spicy base. You can add on other ala carte items such as the Double Cheese Ring (additional $9.80++) – for some of that cheese-pull, or Snow Cheese ($6.80++). Get it for the gram. Do not finish all the Tteokbokki Sauce during the first round, as you can use that and some of the remaining ingredients to concoct up your own version of Fried Rice. 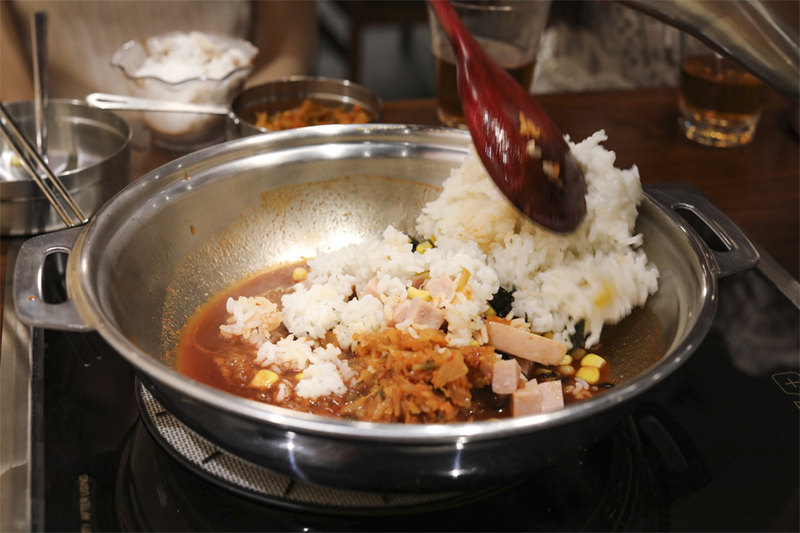 Add the other ingredients such as Kimchi, Seaweed, Sweet Corn and Steamed Rice to the frying pot. Tip: I watched how my Korean friend did it (you can see the video above) and she recommend press the rice down so that it could be slightly charred at the bottom. Adding more Kimchi would also add a spicy and flavour taste, while seaweed can provide some of that earthy tone and saltiness. I love how the buffet also includes free flow soft drinks and Korean tea, so that isn’t additional hidden cost you are unaware of. The Bingsu comes as a surprise as well. Though it was small and not that fanciful, the smooth iced shavings and chocolate sauce made a lovely sweet ending to the meal. *The Bingsu is available on weekdays after 6pm, All day on weekends, Eve of Public Holiday and Public Holiday. 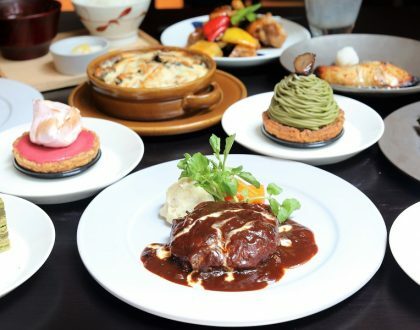 You can also look out for special dining deals such as a $12.80++ “60mins Student Special” during weekdays 11:30am to 5pm, or $13.80++ weekday “60 mins Lunch Special”. T&C applies. Fun-fact: If you have watched Korean Dramas such as A Korean Odyssey, Black, The Entertainers, and Revolutionary Love, you would have noticed your favourite Korean celebrities enjoying a meal or two at Dookki. The other thing you have to take note of is the time-limit of 90 minutes. Otherwise, this is an inexpensive and fulfilling Korean meal for get-togethers. 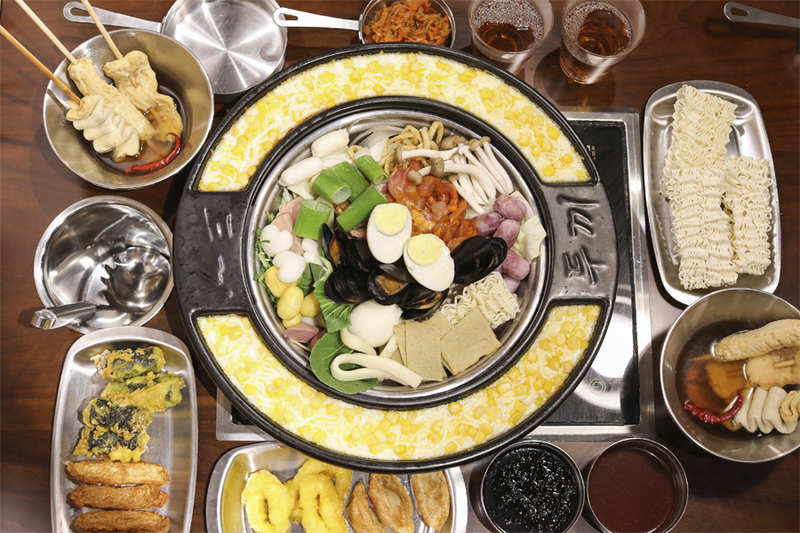 There is also the bonus “3rd Meal” – it is for anyone who loves Korean Ramyeon and has a deep stomach. You can grab the special Ramyeon Pot (very Kdrama) and choose from the wide variety of Ramyeon to enjoy this 3rd Meal. Made available after 6pm on weekdays, all days weekends, Eve of Public Holiday and Public Holiday. 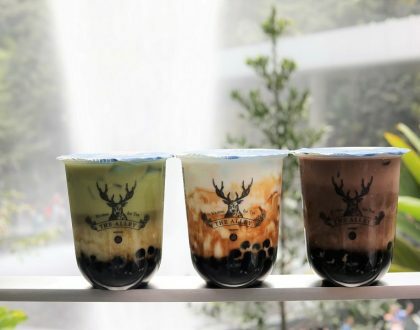 * This entry is brought to you in partnership with Dookki Singapore.